Images are the most used media resource on the Internet. They serve as a complement to your web copy, and help in providing context and meaning to your site. In fact, simply having the right images can help you increase the number of visitors! Still, finding high quality material can be a bit difficult since some of the best images are only available at a price. Let’s take a look at some tricks you can use to find better images for your website, for free. Nowadays, stock image sites are thriving with plenty of content. The number of images they typically host are in the tens, if not hundreds of thousands. However, that doesn’t mean their services come cheaply– most stock image sites can have a fairly high price tag, which puts them out of reach for many. Just to name a few, a subscription to iStockPhoto can cost upwards of $100 a month, and credits can come at more than $1 each (each credit being a single image). Other services such as 123RF may offer more economical prices, such as a three-month subscription for only $30 each month. While this is far more affordable, it’s still a significant investment for small bloggers and people needing only a handful of photos. Thankfully, there are a few ways around these services, and you can still find pretty nice images if you look in the right places. These tricks are all legal of course, as getting a legal letter from a stock image provider is not funny at all. The first and best known method of finding high-quality images for free is to search for files released under the Creative Commons license. Typically, these files have been licensed by their owner with the intent of being freely distributed, so you can use them and remain fully compliant. There are a number of tools that you can use to find these kind of images, and they often give pretty good results. As with any other license, you must remember to abide by its terms when using someone else’s work. This is especially important for free images since they are often assumed to have no commercial restrictions whatsoever, and this may not be the case. Much like searching for just about anything on the Web, Google is a great starting point. With Google Image search you can find pretty much anything you’d like, especially when using its advanced search filter. The only downside may be that commercial images from stock image services may appear it a lot of queries, so you will probably need to dig a little deeper before getting what you need. Compfight has been mentioned a number of times as a great resource for finding freely licensed images. It is a service that queries Flickr for images licensed under Creative Commons, and it can net you pretty good results after practicing with it for a while. Although its selection may be more limited than what you can find using Google, it does guarantee you will find non-commercial images. How many photos can an author fit in a Terabyte? 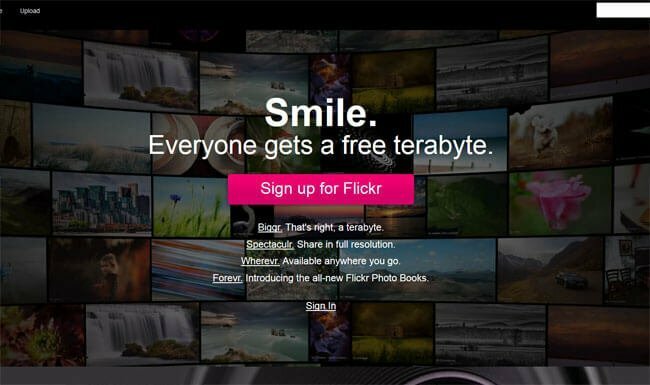 Flickr is the premier resource for those looking for photographs. It is where amateurs and professionals meet, so you may have a good chance of finding good material and also getting an author’s permission to use it. What’s more, some of Flickr’s images are licensed under Creative Commons, so it’s always worth taking a look to see if there’s anything of particular interest. DeviantArt is another social network based on artwork and images. Since it’s a bit more art-focused than Flickr, there is more variety and you can easily find illustrations, vectors, UIs, and graphic design elements. However, it’s also known for being a place where artists sell prints and other physical merchadise using their art, so you may have a better chance at getting permission. Pinterest has recently become one of the big players in the social media space, in part thanks to its focus on boards and images. Due to its nature as a social network, it is a great place to find things that may interest you, and striking up conversation with authors may be easier than in other websites. Just remember to give proper attribution! 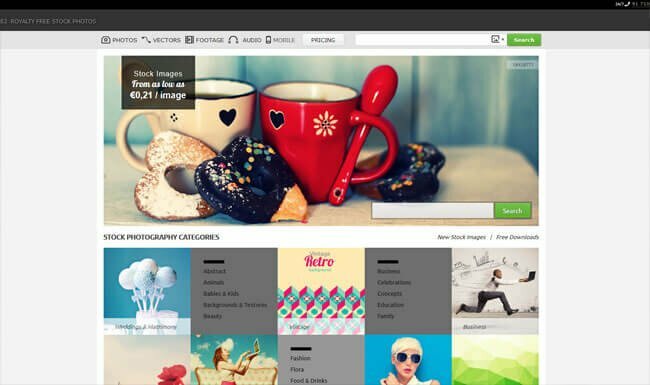 Like Flickr, 500px is also a photography social network. It is more oriented towards professional photographers, so the material in here tends to be better than most places. However, it may be hard to get images for free without violating any licenses. Your best bet may be to compensate the author by providing a link towards its profile. 123RF offers a free image each week. A great place to find well-priced images. 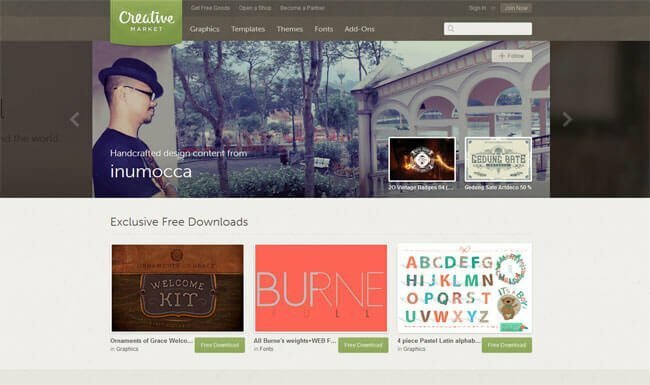 Creative Market has emerged as a place where authors can freely sell their digital goods– at a price of their choosing. There you can find some amazing deals, like entire photosets for a fraction of the cost compared to stock image services. If you need to buy professional-quality images in bulk, you should definitely check Creative Market out for these deals. GraphicRiver is great for when you need only a particular image orresource, and don’t want to spend a huge amount on unnecessary materials. 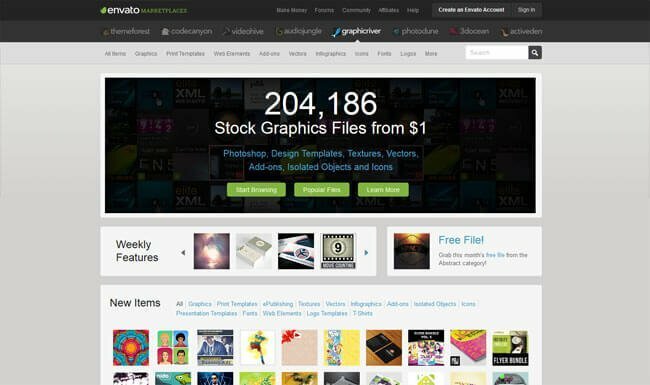 As part of the Envato family, GraphicRiver offers a lot of great visual material at reasonable prices. If you need to buy only a handful of image, you should take a look at its collection beforehand. If you need icons, this is the place. 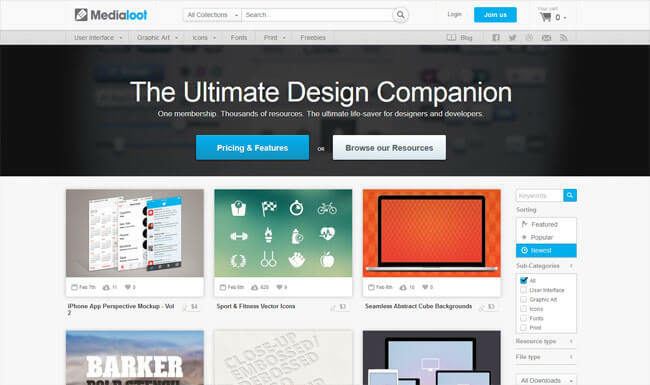 While MediaLoot is more focused towards UI elements rather than photography, it nonetheless remains a great source of premium material for many. It routinely adds new content to its collection, and you’re free to purchase individual packages as you see fit. Most of them are a good deal, as they cost less than $10 for virtually unlimited usage. Having the right images on your website can make or break your online strategy, so going for the cheap option can end up hurting you instead. If you’re serious about having an online business, you should definitely consider buying some high-quality images from one of the aforementioned places. This is especially true nowadays, since the availability of digital resources has never been better. Have you searched or bought images from one of the above sites? What is your experience?